Healthcare’s evolution has reached a pivotal juncture. At no point in history have we seen an array of external factors simultaneously converge to create such a perfect storm of change and transition. The list is as exhausting as it is exhaustive. And, collectively, it’s causing healthcare organizations to dramatically re-think their roles as the lines that distinguish them increasingly blur. They’re being tasked with figuring out a way to make sense of all this change while controlling costs and improving care. As a result, they’re shifting from traditional care management models to population health management. This requires more collaborative and inclusive methodologies driven by technology that enables organizations to meet current needs while equipping them for tomorrow’s challenges. Program Design & Governance. An impactful and successful PHM program begins with clear a delineation of an organization’s goals for compliance, cost, and quality, with clarity on how short- and long-term goals will be measured. An experienced PHM vendor will help its clients assess their current capabilities to identify any shortcomings that may impede long-term goal achievement. This will help generate a plan that aligns all stakeholders’ incentives and quickly meets short-term goals while building on them to tackle long-term aims. Performance measurement and monitoring should include metrics for milestone achievement and periodic, real-time tracking. Data Integration and Aggregation. Technology advancements like cloud computing, smart devices, genomic medicine, data mining tools, and interoperability have helped create an explosion of data that can be mined to improve population health. It’s now possible to go far beyond the structured information that claims and pharmacy/lab transactions provide for more robust and accurate data — consumer, geographic, census, economic, etc. — about populations and individuals. This is very exciting and increasingly important, since unstructured data contains some of the most revealing information about a person’s health. Actionable Intelligence. Health plans have long mined claims data to identify and stratify populations at risk for costly health services. What’s needed now is actionable intelligence that drives decisions when they’re being made; determining workflow and, in the case of care management, meeting the patient where they are. Information derived from multiple data sources is more complete and accurate, allowing for more contextual and personalized analytics that will have a more meaningful patient impact. Holistic, Patient-centered Care Management. This involves standardized processes and leverages best practices and evidence-based medicine, but is completely personalized to the individual. It means meeting the patient, their advocate, and the care team where they are with the right technologies and actionable intelligence about medical needs and an understanding of psychological, social, and cultural factors, along with anticipated barriers to success for early correction. Consumer Engagement. Most healthcare decisions are made by patients outside the doctor’s office. As out-of-pocket expenses increase and patients become more discerning consumers, we will see an increase in the demand for more data transparency and smart tools that help individuals participate in their health management the way they do other aspects of their lives. In the coming weeks, I will take a closer and more in-depth look at each of these five pillars in a series of separate blog posts, “ZeOmega’s View of Population Health Management.” Information technology plays a critical role as the great enabler in achieving Triple Aim initiatives. 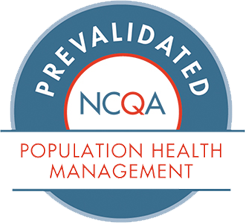 It’s our shared view at ZeOmega that healthcare organizations taking on population health management will be looking for tightly integrated, end-to-end, scalable solutions across these five pillars to help them succeed.